Expected to unveil officially, the new Ford Focus RS has just taken the air before the time programmed by the manufacturer of Dearborn. This sometimes happens. Often. Before the hour H or D-Day, a new auto tips in advance the end of its snout. 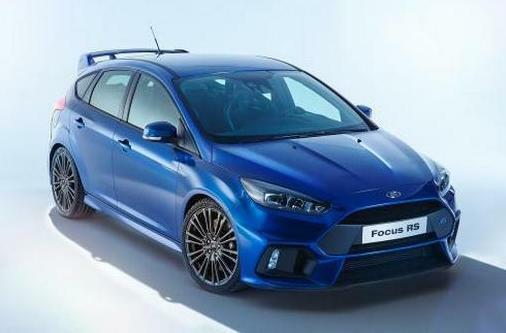 This is the case for the new Ford Focus RS after pictures come to escape on the canvas, images accompanied by first indiscretions, these obviously still asking to be officially confirmed. We discover the new Focus RS in its more classic delivered blue body and equipped with several appendices between diffuser, spoiler, two massive exhaust outlets, etc. Especially we note the first elements (so unofficial) technically. The Focus RS is animated by the 2.3-liter EcoBoost four-cylinder engine at some 320 hp. Other advanced data, some confirmations: All-Wheel Drive (AWD), Limited Slip Differential and torque distribution control. A formal review will be within minutes or hours to follow.